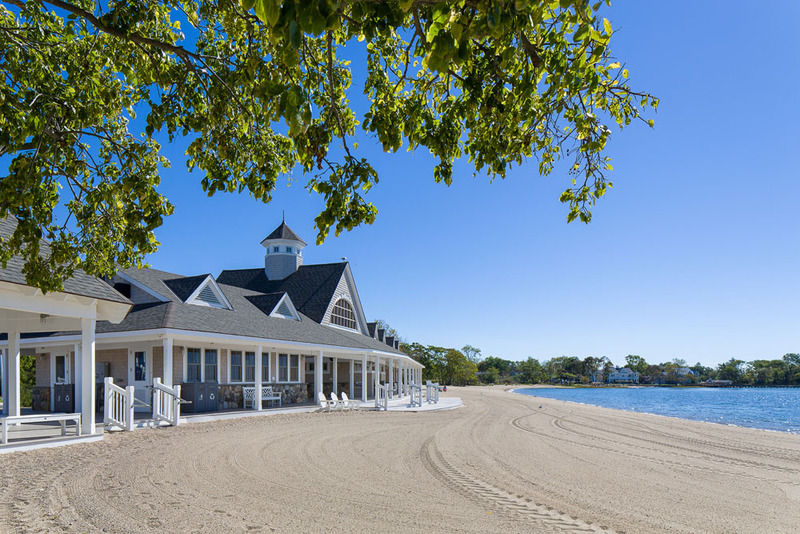 This project accomplished a complete upgrade of the primary public beach for the Town of Darien. 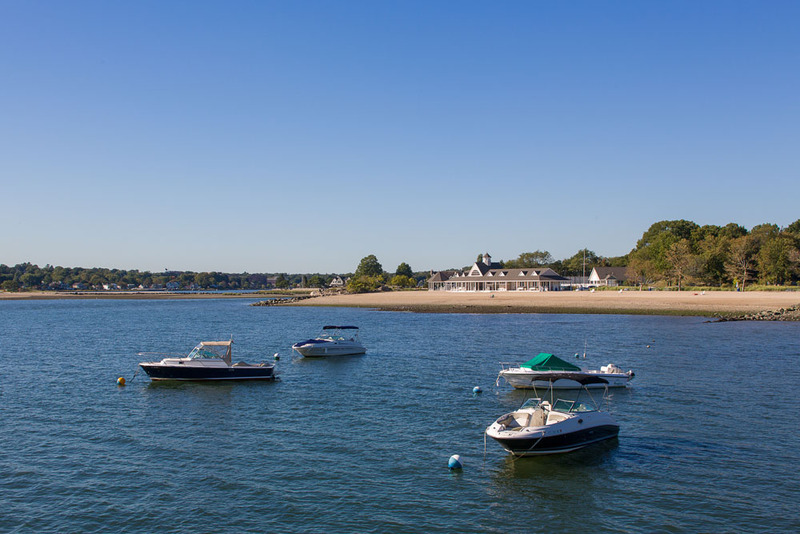 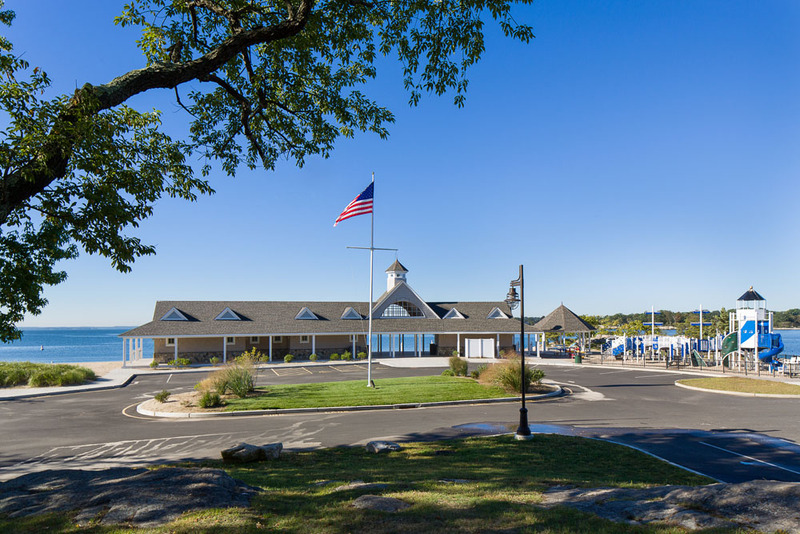 The building program consisted of a new Bath House, a new Paddle Tennis building, renovations to the existing Sailing Pavilion, the introduction of new walking trails, the reconfiguration of the existing parking lot to reduce the extent of paved surface, and the creation of planted buffers between the parking lot and the beach. 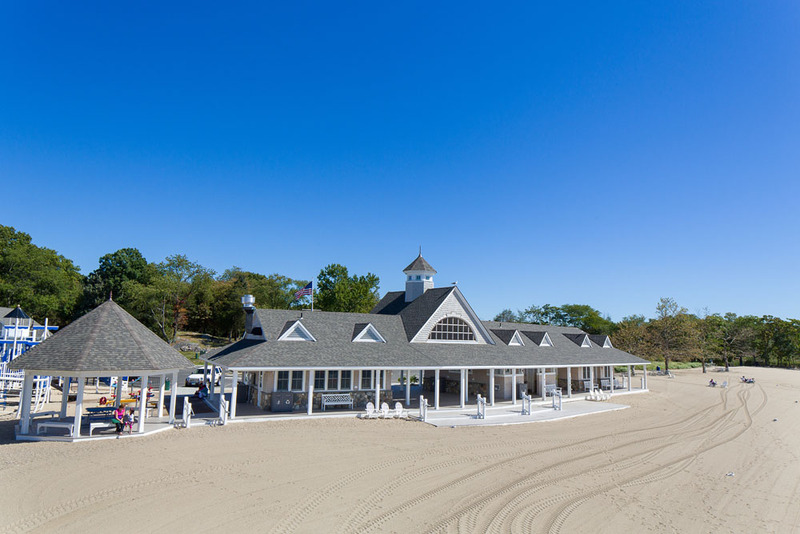 The new Bath House contains bathrooms, changing rooms, a first aid station, a place for lifeguards to relax between shifts, a food concession and a gazebo. 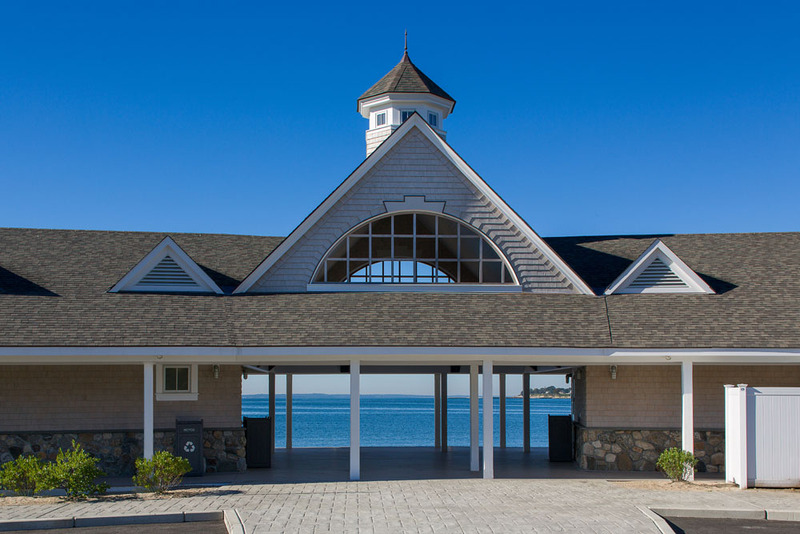 The latter two elements are located at the west end of the structure, adjacent to the playground. 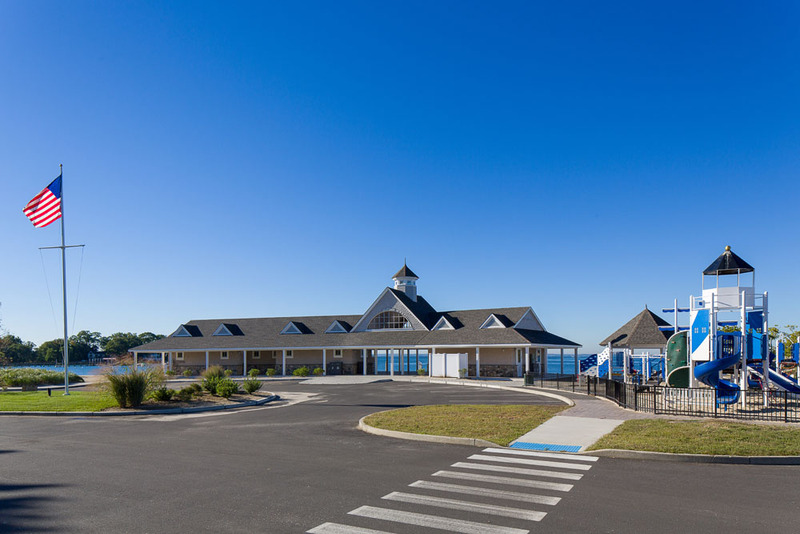 An open atrium is located between the concession and the other functions and forms a framed entrance or “gateway” between the parking lot and the beach. 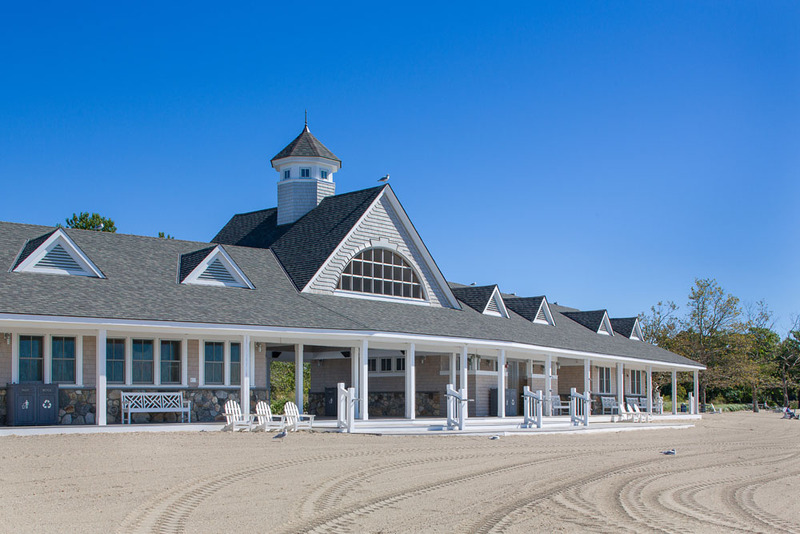 The new Paddle Tennis building contains an office, bathrooms and a large gathering space that is used during the summer months for the town’s summer camp programs, and year-round by various town organizations as a place to hold meetings.